Every minute spent in a kitchen can be enjoyed that much more after its been remodeled. Whatever style and size of kitchen, ProSource® of Wichita has the cabinets, countertops, faucets and sinks you’re looking for. Transform your kitchen project into an inviting and engaging space today. 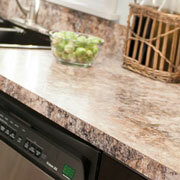 When thinking about remodeling a kitchen, thoughts often turn to flooring, countertops, and the appliances. 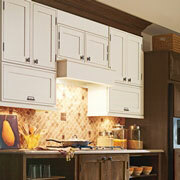 However, updating the kitchen cabinets can have an immediate visual impact on the entire space. Cabinets can be as much an accent piece as a storage space. We offer cabinets in a host of sizes, styles, and finishes. Similarly, the hardware used on the cabinetry can create a cohesive decor scheme in the kitchen space. 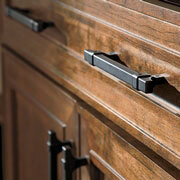 ProSource of Wichita has a fine assortment of hardware pieces for cabinets, including knobs, handles, and pulls. The countertop works hard. It serves as a meal prep station, as well as a place to finish homework assignments. Make countertops last longer and easier to clean by adding a new granite, marble, or recycled material countertop to your kitchen project. Make the kitchen the ideal place to cook and entertain with a new countertop. If you need a new sink for your kitchen remodel, ProSource has you covered. 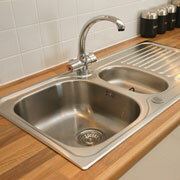 You’ll love our selection of single, double, and even triple basin sinks. Available in an assortment of finishes and materials, you’ll find a sink that matches any kitchen’s style. With a new sink comes a new faucet. 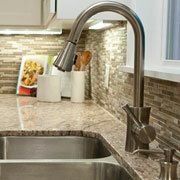 At ProSource, you’ll find a huge collection of kitchen faucets at incredible wholesale prices. From brushed, matte fixtures, to high gloss arrangements, we’re sure to have the faucet that you seek.